Kahlil Gibran, best known as a writer and poet (most famously, Gibran would write a collection of lyrical essays called The Prophet)., achieved his earliest notice making sketches and illustrations under the mentorship of artist Fred Holland Day. Gibran had arrived in the established Syrian community in Boston’s South End with his family in 1895, but his notoriety and academic ambitions let him to return to Beirut for high school. He would not return to the US until he was 19. 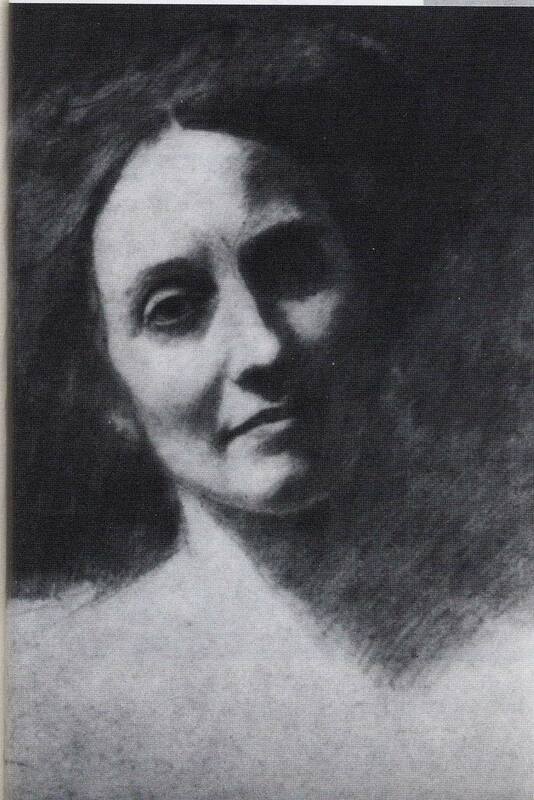 The beautiful Josephine Peabody, subject of an early drawing, who ultimately refused a proposal of marriage from Gibran, also introduced him to the other Boston woman in his life. Peabody invited Mary Haskell, a school headmistress to one of his exhibitions. Haskell and Gibran subsequently began a close intellectual and off again on again romantic relationship. When he proposed to Mary, she also said no, citing the ten year age difference between the two. She wished to avoid the appearance that she courted a much younger man. However, their relationship continued, romantically and otherwise. Haskell spent hours with Gibran over his manuscripts, attempting at one point to learn Arabic to better understand his thinking. The schoolmistress also financed Gibran’s travel and studies, as well as the work of a number of other young emigres. Haskell’s 17 years of diaries form one of the best and most complete records of Gibran’s life and work. This entry was posted in Boston, Music&Art and tagged Fred Holland Day, Josephine Peabody, Kahlil Gibran, Mary Haskell, Poetry, Portrait, South End. Bookmark the permalink. Wonderful – would you please add a tag for Josephine too?